← Bhrahmin warrior clans of India(Ayyanar kulam) and Ireland ….! Mangueshi / Maggi / Moola virat….!.. Iyre / Ireland….AnavilL/ Onavillu / Onam …!…..Valsad / Wales..!..DHRUVA BERA / DRUIDS PRIESTS….Purohit / Provost / Priesthood……..Navsari / Navasard…Nambiyar /Nagorno …!….ARSHTISENA OF BHRUGU CLAN / ARISTOTLE….! We found Trinovantes tribe in Britain , We found Lowonidonjon ( Lau nandan –London) , Hasting (Hastinapur) in Britain (Breizh = Bahraich –Awadh) . We found Low countries in Northern Europe. Now, we know that Low counries were driving force behind Holy Romisch Reich (Popularly known as Holy Roman Empire). We checked European history with benchmark date 500 B.C.! Germanic tribes reached Danube Bank in that time Zone. We also checked European history with Bench mark date…262- 261 BC! Kalinga war faught and won in India at that time. Now we know that celtic tribes were busy fighing Macedonia, Greece and Rome during that period. After Ashoka , Hinduism and its rituals collapsed in Bharatvarsha itself. To understand “Vanvasi Ram” and his inner feelings we have to understand this hard reality. People were compelled to forget Ram in his own land . History says that only after Shankryacharyaji(788 CE – 820 CE) Hinduism revived in Bharatvarsha.Means from 262-261BC ( Kalinga war) to 788 CE – 820( Age of Shankracharyaji) it was dark age for Hinduism in Bharatvarsha itself. But victorious Shankracharyaji revived Hinudism at last. You look at European history. They also consider this period as dark age too.You have to think on the subject -why it was Dark Age for Europe too? It was dark because their history also stopped there. Meanwhile Christianty emerged in that dark age. There after European society showed determination to carry forward the history of Lau -nandan. European warrior clans showed determination to take care of Holy Blood and history of Holy blood . ( Look at our history we have never shown that spirit throughout our history). That sort of determination in European mass prompted Sicambri tribe leader Clovis (Reign509 – 511) to be baptized .He belonged Merovingian Dynasty, a sunline Dynasty founded by king Merovech in Europe. The same Holy Blood founded holy Roman Empire and Europe cheered with the decision. Still Europe is taking care of Holy blood and blood’s history. 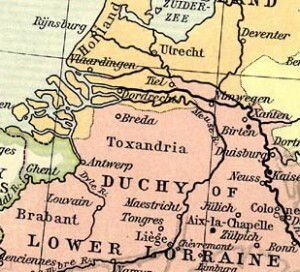 CLOVIS belonged to Lionstone Castle (the ‘Lovensteyn’ or ‘Loevestein’). Sad event for Hinduism ? First read above link and then proceed further. Yes, Clovis baptised ( If one has enough sensitivity then can mourn even today for circumstances and intrigue feelings Clovis faced at time of Baptism .It is hard reality and we have to accept it. Sincerly telling, personnely I dont believe it as Sad event. In fact Ram is some where and He is in safe hands.That is enough.) Look at the circumstances in which Clovis had to consider feelings of their Yamavanshi (Gothic or Irminons) Brothers too. Yama was brother of Manu who founded Ayodhya. Clovis (c. 466–511) (Ch-)Leuthwig (Ludwig, Louis) was the first King of the Franks to unite all the Frankish tribes under one ruler, changing the leadership from a group of royal chieftains, to rule by kings, ensuring that the kingship was held by his heirs. He was also the first Catholic King to rule over Gaul (France). He was the son of Childeric I and Basina. In 481, when he was fifteen, he succeeded his father. Clovis was not only a Frankish king, he was also a Roman official. Was it the case? They lifted Holy Blood on their shoulders and we …….? According to a legend, the Sambhar Salt Lake was given to the people of that area some 2,500 years ago by the Goddess Shakambari after 100 years draught in the area. 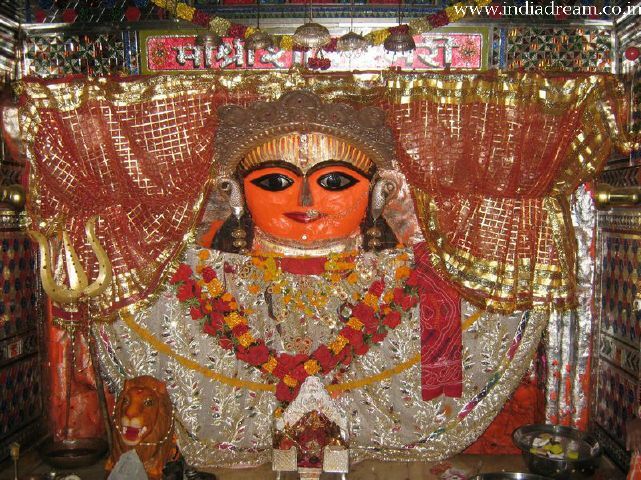 The term Sikar and Sambhar is outcome of the word Goddess Shakambari . 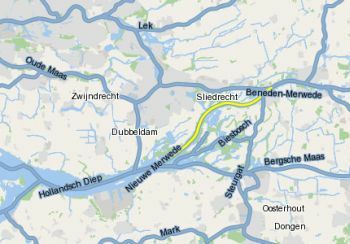 Is it coincidence that Germanic tribes Alongwith Sicambri tribe reached Danube bank in 500 B.C. itself? Sicambri Germanic tribe reached Danube bank before 2500 years. Sikar,Sambhar lake and Shakambari temple are still there .Shakamabri word emerged in India before 2500 years. It shows that during time of Saviour drought Sicambri tribe joined their brothers who were far away from India . They migrated from Marwad and Taxshila in time of saviour drought. Low counries Carrying words Merwede Merovigians. Toxandrians and Sicambri Germanic tribes are real clue to History of Ramvanshis and specifically Lau –vanshis and Bharatvanshis. 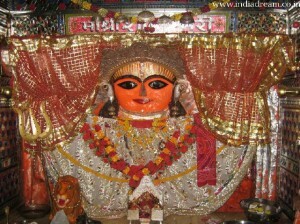 Goddess Shakambari was also called “Eshwari”. Now you should realise that for what river Istrate (Ishwari ?) stand for? Yes our Ram is in vanvas. Undoubtedly I am telling that The European term “ Merwede” and “Merovingian” stands for Marwad . Don’t you umderstand ?Sikar is in Marwad. Toxandria do not remind you of Taxshila? Then Uni. of Texass stand for what ? NOTE : ONE HAS TO CONSIDER EACH EUROPEAN EVENTS IN CONEXT OF HINDUISM AND WORLD HISTORY. Coming chapter in Book section will be _ “ Vishwa Samrat Ram” – After that chapter we shall leave Europe behind and will enter Asia Zone. We shall try to understand History and culture of Anatolia. Anatolia means present day Turkistan. Turkic people reached there hardly 1000 yeasr back. We shall dig history since 1200 B.C.. Anatolia was boundry between Asia and so called Europe . The historical Troy city was there in Anatolia. History of Thrace people(Who settled on bank of river Rhyne and who took leadership of Great Raid ) says that Tharce reached Anatolia to help Troy in their war against Greece. Troy remind us of famous epics Iliad and Odessy. The epic says the story of Journey of Elavanshis. Ila or Ela = Daughter of Manu who founded Ayodhya. Means Troy stands for sons of Turvasu ? Turvasu -the son of Yayati? Our scripture says that Yayati ruled the world . Our Scriptures rightly says that Yayati ruled the world. Our scripture rightly says that Vishwamitra and Parsuram ruled world. Why dont we believe our scripture? Eueropean history is clue to all. Ya. Yayati ruled world. Devyani ,daughter of Shukracharya married to Yayati. “Devyani” is rootword of Goddess Diana. Diana(pisi) is a feminine given name probably derived from an Indo-European root word referring to the divine. Diana is derived from either an Indo-European root meaning “divine,” or from the Latin “diviana,” Turvasu was son of Devyani . It means they were following “Matrupradhan” or “Motherly” culture. Is it not Indian tradition? The following link about “Yayati” will help you to understand relation between Turvasu ( TRoy), Anu (Babylon) and Drahyu (Dorian Greece).Link syas that Puru became succssessor of Yayati on Indian soil. Puru was accestor of Pandava.Link will say you evrything. The same set in Anatolia…..
We found Trinovantes , Lownandan (London), Hastinapur (Hasting) , Gangani ,Cocani and Milesian (Maha sthan or Mastan) tribes in Britain and Ireland. One can find same set of people in Anatolia in 1200 B.C. ,when Troy faught war against Greece. The same set is clue to History of Bharatvarsha, to which we consider as legends. Don’t be susprised if you find Hittite empire cenred on capital Hattusa and Luwian Kingdom named Lydia in Anatolia . Troy , Hittite and Lydia had Luwian language. Did we ever gave Justice to Ram? Ever? Think about our own history.